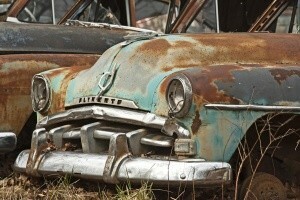 Would you be surprised to learn that more cars per year are destroyed by rust than by accidents? That is in fact the case, but most of us tend to think of rust as an annoyance, not bothering to rust proof, thinking that corrosion can simply be covered over by a new lick of paint. Imagine if you took the same approach with a tooth that was beginning to show signs of decay. You might be able to cover it up for a while, but eventually the problem would worsen and begin to spread to the rest of your teeth. A little piece of corrosion does the same thing, eating its way through all the good metal that surrounds it. We live in a world where we simply toss away old things and replace them with newer models, but that is a strategy that can get expensive very quickly. 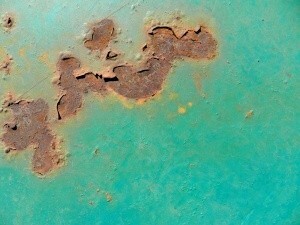 Imagine if you had to replace your car every time a little spot of rust appeared. You wouldn’t be able to keep a car for very long, especially if you live in a part of the country where the salt from the ocean spray can wreak havoc on all of your vehicles. Some people make the mistake of thinking that they can somehow perform rust removal by using cheap over the counter products, or home remedies that show up online. Do a Google search for “DIY rust removal” and you will find all sorts of wild and wonderful concoctions that are supposedly sure fire ways to get rid of rust. Do you really want to take potatoes, vinegar, lime, and a host of other ingredients to the exterior of your car, and then cross your fingers and hope that the rust goes away, and that all future attacks are repelled? No, I didn’t think so. Take a look at the US Navy and the amount of money that they spend each year to rust proof; to keep their fleet ship shape and ready to sail. They certainly do not keep their vessels that way by using homemade corrosion concoctions. 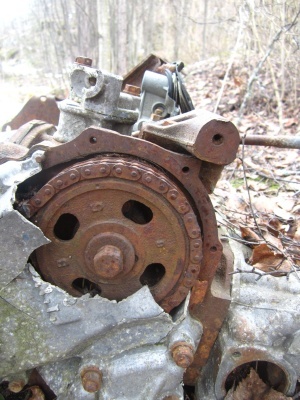 Instead, they use the proven rust stopping power that is delivered by Rust Bullet. This is not something that just covers up the signs of rust, it all removes it and keeps out any new corrosion for decades at a stretch. If the US Navy can trust this product for their fleet, it’s pretty safe to say that you can trust it for your car. One of the great benefits of Rust Bullet, other than its ability to stop corrosion in its tracks, is that it is incredibly easy to apply. We have a video of the Orbetz Railway Bridge Restoration. There is the basic version, as well as an automotive version that contains more metal. Then there is the BlackShell coating that is designed to go over the top of both the basic and automotive products. Whatever way you decide to go, you can be guaranteed to have a rust inhibitor that helps keep corrosion out for many, many years.